Today at 19:00 Central European Time, the Järnringen team will be kicking off their fundraiser for Thistle Hold – Wrath of the Warden. Thistle Hold – Wrath of the Warden is the first campaign and adventure module in the Chronicle of the Throne of Thorns (which you can get a taste of by grabbing the PDF from RPGNow). The fundraising campaign will get this translated volume out on the shelves and into your hands in the same luxurious format as the Symbaroum Core Book and The Copper Crown. Stretch goals will up the quality, but also offer additional content – like the translation of two new adventures Fever of the Hunt and The Bell Chimes for Kastor. Beyond that, more stuff. As of the last design team update in May, the book was 80% through translation and two of the book’s three sections are at stage 1 (of 3) in the proofreading process. 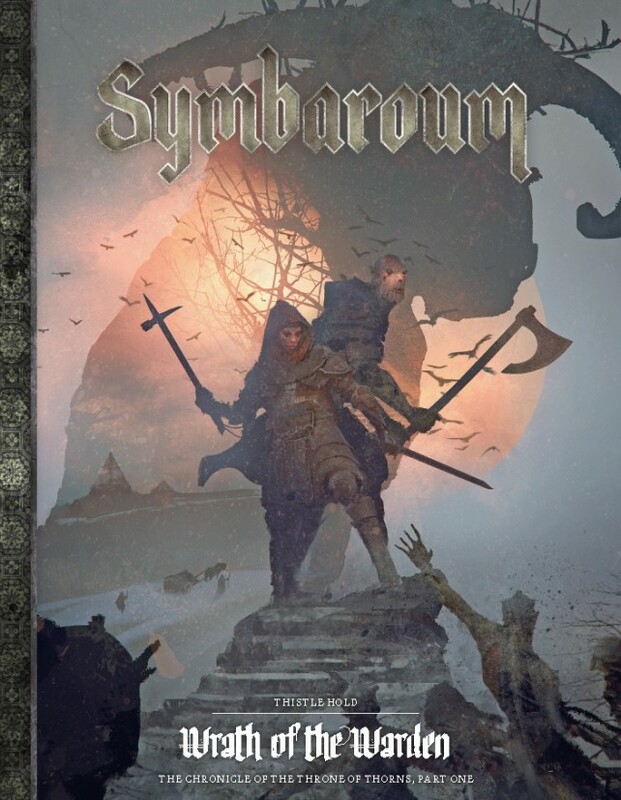 As part of that proofreading process, I have to say that you have a lot to look forward to here – expanding the setting and detail of Symbaroum. Share this with every gamer you know then be sure to be there in time for the opening!